Once you’ve recognized the distinctiveness of academic CVs or résumés, a key decision you need to make is whether you should go digital — and if so, in what ways? Most current academic CVs are resolutely non-digital, and are designed solely to be printed out in a traditional fashion. The problems with this conventional approach are twofold. First, the traditional CV format is just dysfunctional — it actually almost completely masks what you’ve written. Unless the faculty members doing the choosing happen to have already met you, or to have read something you have written, how on earth can they tell from your brief details what you are like as a researcher or a writer? Or how good you actually are at writing? Or how easily and creatively you tackle writing tasks? Second, no one now, ever, prints out CVs until a very, very late stage of the appointment process — they’re meeting you tomorrow. In the crucial early stages where you have to survive ‘the cut’, all CVs and covering letters are now read digitally, and only onscreen. In a traditional CV all that selectors have in front of them are the titles of your works — and many titles in academia are just completely hopeless,as I’ve set out elsewhere. Even if you have a well-framed, informative or narrative title for an article (or book) — one that cues or tells me in substantive terms what you actually found out or concluded — that is still very little information to go on. Including abstracts may say more, but again these are often badly written and obscure. And an abstract is just a condensed set of promises. The selector still has not much idea how well you deliver on the claims made, or how well you write at research level. A lot of early career folk at this point seem to imagine that the process of their getting to a long list or an interview involves senior academics in the department or on the interview panel diligently gathering other information about them. Perhaps the selectors will go to the Library to look at candidates’ materials? Or delegate an administrator or research assistant to assemble complete packages of materials on paper, which search committee members will then sift through in a leisurely, gentlefolk manner of yesteryear. The bad news is that this is not going to happen at the first and most crucial stage of the consideration process — the ‘cull’ stage where the academics doing the appointing have to sift through the 150 or 200 applications that came in. Typically they must do it very quickly, very fairly and without bias, and in a process-specific way, watched over by the university’s HR department. Hence they will only look at CVs and covering letters at this first stage. It is now completely normal for selectors to only look at the two documents screen. Nobody can afford the time to print out 300 or 400 sets of papers to consider. Instead CVs and letters are often read very quickly in three main phases — individuals compiling their lists of possibles; the panel pooling their list; and discussion of the list and final shortlisting. Individual listing of candidates. Each member of the appointing panel will look through the complete set of applications trying to assess people against the job description and personnel criteria specified by their department. It helps a lot if you tell selectors in a proactive way how you could fit in and what you could do for its research and teaching work, because mentally doing all these assessment tasks in (say) 10 minutes per application, is pretty difficult. At this stage what you want is to be noticed, ideally to stand out as a good candidate and a great fit with the post as advertised. Normally each selector individually runs through all the candidates on a first look basis, trying to identify their personal picks as ‘probables’ and ‘possibles’. Once they have a more manageable long list (maybe 10 to 15 people) they will then spend more time on a detailed second look, so as to order their initial individual selections into firmer categories or a preliminary rank order. Pooling lists across selectors. This next stage is collective — the selectors share their picks with colleagues, and also get to see for the first time who the other selectors have gone for. Usually each selector can make a restricted number of nominations (say 5 or 6). The head of department then collates all the rankings so as to create a complete longlist of all the candidates that at least one person on the panel thinks should be interviewed. Candidates with multiple votes make the final interview pool easily, while those with no picks from selectors are out straightaway at this stage. Applicants picked by only one selector may also get cut early, unless the selector is especially influential. Discussing the list and producing a final shortlist. The best processes here will include a meeting where selectors advocate for their picks, explaining why they’ve included people or urging colleagues to look again at one or more person. In my experience this is is always very valuable. Any one selector can miss lots of talent. And often it’s only when other selectors have included and advocate for someone you missed off that you can recognize that. Normally selectors or the head of department will then to go back to the CVs or résumés and covering letter of ‘possible’ or disputed candidates, and reread them in discussion. Again everyone does this digitally on tablets or laptops in the meeting still. So far as I can judge from a range of universities, often this ‘meeting of minds’ stage or deliberative discussion does not happen at all, perhaps because time is short or it is very hard to get busy people together. Instead a mechanical process is followed where the head of department or an administrator just collates an overall ranking shortlists in the cumulative order that people have made it onto selectors top three or four picks. Heads can be quite creative here, usually in getting to a more ‘balanced’ list by persuading colleagues to look at candidates favoured by different groups among the selectors or the department. Many interactions go on here, but still no paper gets printed. The absolutely key thing for any applicant then is to make the initial long list of candidates noticed by one or more selectors, and then to survive through to the final shortlist. And here’s where including digital elements in your CV can make a lot of difference. What selectors find so difficult is to see past the obscuring element of the CV or résumé to the person behind. Often their problem is to see the good in a researcher who has done themselves few favors in terms of a poorly organized CV, obscurely titled papers, a solipsistic covering letter that ignores the department’s brief for the job, or stressing elements in their application that this department really does not care about. Because the longlisting phase for all academic jobs is now so exclusively digital, I think it would now be best practice to start producing CVs in formats that are designed from the outset to be read digitally, Including digital elements is obviously very straightforward in Word or equivalents. But if you are using PDFs (or if institutions ask for that, as some will) you need to check that your chosen PDF format will show live hyperlinks in a clearly visible way, and that URL addresses will click through to the relevant page. 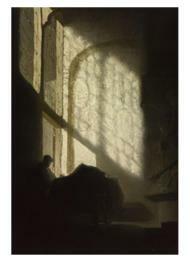 a photograph and links to video and audio outputs. In academia the balance of risks and advantages for each of these elements is rather different. The great advantage of live hyperlinks or clickable URLs are that they let online readers jump straight to your piece of writing. That way they can see in detail what you argued in a published or conference or working paper, and how you’ve argued it. A lot of candidates seem to believe that they have solved this problem by simply including a URL for their personal website in their CV or résumé. In fact, the time pressures of selection processes mean that this is rarely any use. Few selectors are going to fire up a browser, retype an URL and then wade through the idiosyncratic navigation of someone’s home-grown site, unless they are already very interested in you. The key question is to generate that initial interest. (As a secondary factor, selectors will also often be enjoined by their university’s HR departments to only consider materials directly submitted by candidates). So even when it comes to just understanding your ‘classic’ outputs, a digital CV has a great deal going for it. In the past, elite university selectors in many disciplines used to cope with the scant information in applications by just looking for articles in ‘top’ academic or scientific journals. Universities lower in the rankings also used basically the same process, albeit at a medium or less ambitious target level in the journal hierarchy. Hence selectors used to rely a lot on ‘top’ journal lists, especially those based on the misnamed ‘Journal Impact Factor’ (JIF) that publishers still make so much of. However, informed academic opinion now recognizes that JIF is a statistically meaningless average of a journal’s citations, a kind of superstitious, ungrounded fetishism. In addition, far better and readily accessible indicators exist — especially Google Scholar Metrics’ excellent h5 scores for journals. (Here a journal with an h5 score of 50 has had 50 papers that were cited 50 times within Scholar over the last five years). As a result of the many criticisms of JIF and other ‘top journal’ lists , using either of them has now been banned in the UK’s REF process and in Australia’s ERA processes. However, in terms of working practices it may take a lot longer for many senior academics to change their ingrained habits so as get on top of this, especially in science. None the less, change is clearly happening fast in this space. The correlation between JIF scores and actual citations across all disciplines is now the lowest that it has been for 40 years. The proportion of citations to journals outside the top ten in each discipline has grown from 27% in 1995 to 47% in 2013. And it has gone up in alldisciplines, especially the STEM sciences. Another interesting indicator of the dispersion of really top quality work was provided by the political science panel in the UK’s 2014 REF process. For whatever this is worth, the REF Panel’s ‘eyeballing’ of articles ended up judged 570 items as 4* (world class) — but these items were drawn from no less than 180 different journals, spread across many different sub-fields of the overall discipline. What digitally linking to all your main research publications does then is to make it just a bit more possible that selectors will actually access your full work and look at it, and so get interested in interviewing you. Instead of having to judge your work on a title or an abstract alone, they get to see what you’ve written in full, at a click of their mouse. And instead of letting their ‘old-school’ prejudices about what counts as a ‘good’ journal lead them to ranking candidates just by the places they’ve published in, selectors can now quickly look at your work directly. So now they may be persuaded that your work is good or excellent stuff in its field, even if the journal it’s in isn’t so prestigious or familiar. For anyone applying for academic or research jobs in the UK adding digital links to all your recent top research articles is now a must-do step, however senior you are. A recent decision by the Higher Education Funding Council for England (HEFCE) now requires that anyone whose work is to be considered in the REF in 2020 must deposit at least a ‘green’ Open Access version of their journal paper with their university electronic repository. You have to get this done within three months of your article having been accepted — which for many disciplines and journals means that it has to be done months or even years ahead of the finished article actually showing up in print. This requirement creates a potentially onerous new task for heads of department and research directors, chasing up those lazy or recalcitrant academics who don’t do this chore in time and under their own steam. To reassure selectors that you are NOT one of these people, someone who will generate lots of extra grief for them, you really must now adapt your CV to include hyperlinks and URLs for all your journal publications in the REF 2020 period (i.e from January 2014 onwards, or perhaps 2013 if not previously submitted). A ‘gold’ open access (OA) version of your article, i.e. one that is included in the printed journal but open to anyone to read in full, whether or not they are subscribers. (Using a full digital object identifier (DOI)reference number is the best way of doing this link. So put https://doi.org/ followed immediately by the long, complex DOI number — for example, https://doi.org/ 10.1177/1354068811411026). Gold OA is an expensive option and it will generally only be available to senior folk with grant budgets able to cover the scandalously high OA fees charged by Elsevier and Wiley — still around $2,700. Publishing in journals that are wholly OA by design is another alternative route to gold open access, with lower fees, but often still less prestige or visibility for the journal. ‘Green’ open access is the cheaper, do-it-yourself OA alternative. Here you lodge a (good quality) final manuscript version of your article with your university’s e-repository, and they make it freely available on the Web as soon as the publisher’s embargo period has expired. This now has to be done officially and formally and you need to keep records that say you’ve done it. (I’d advise also keeping an eye on your repository to ensure they complete their end of the deal too). Bear in mind also that your green OA version should not just be what you last sent the journal (e.g. with all the diagrams and tables at the end). So far as possible you should configure your green OA version to be really close to the experience of reading your published paper — e.g. putting all charts and tables next to to the text referring to them, and designing these ‘attention points’ to be as readable and high quality as possible. For any UK jobs, ensuring that all your published CV components meet the HEFCE open access requirement right now tells your prospective new colleagues and head of department that you are fully up-to-date on your obligations and are strongly REF-orientated — in addition to all the positive reasons above. This is especially (but not exclusively) an issue if you are applying for PhDs, post docs, adjunct professor posts or other ECR (early career researcher) roles. At this stage you may well not have any, or not have many, formal publications. You’ll have stuff out there as conference or working papers, hopefully some published blogs, perhaps book reviews, maybe comments or shorter papers. But perhaps your key publications are still in preparation, or are under review, or are having to be reworked to resubmit to another journal after rejection, or are even ‘revise and resubmit’ but not yet finished. Including links to these interim outputs is even more key than with published outputs, for without other professional indicators of quality reading some full text is going to be crucial. But what else should you have in your CV? I’d urge early career folk to consider including links to selected other, shorter pieces — like journalism, blogposts, online notes, comments or short advance findings on newsfeeds, book reviews, and comments on other work. Looking at all of these examples of your writing can enable selectors to get a far better and more rounded sense of you as a writer and a person than may be gleaned from traditional professional outputs alone. Blogs and other social media can especially help to show you as a congenial and very active person, someone to whom writing comes easily and fluently, and thus someone who’s likely to carry on producing and getting stuff out there in the future. The whole, fast-growing agenda around research impacts and knowledge exchange between higher education and other sectors of society and the economy also adds strong incentives for including somelinks to non-traditional outputs. In the UK the REF research assessment process now allocates 20% of higher education funding support for ‘research impact’ activities, and so this powerfully affects department rankings and finances. In Australasia, the USA and Europe also there is an increasing emphasis among policy makers and university hierarchs on maximizing the external recognition and use of higher education work. These changes underlie the massive growth of science communications as a field, some of the impetus behind digital humanities, and (of course) the tremendous, central significance of impact across the social sciences. If your CV lacks at least some evidence of knowledge exchange and impact competencies then you are clearly at a disadvantage compared to other candidates with the same classical publications but who do have these things. So you should now have a clearly separate section, distinct from ‘classical’ publications and work in progress, that showcases a selection of your impact short-form publications and other outputs. The old buffers club are researchers (of any age) who view blogs, social media and perhaps even digital URL links to published papers, with great suspicion. They are themselves digital hermits, who take a lot of care to live off the grid of academic life. They believe, as one eminent professor put it to me: “I put my articles out there and it’s up to them [everyone else] to find them”. Two quick ‘tells’ for such a person is that they avoid even having a Google Scholar Citations or a ResearchGate account. For this group digital links of any kind in an application are suspect signs of untraditional and unacademic interests by applicants. Not only do blogposts and other short-form writings or evidence of impact activities count for nothing with them — they may even count as something of a black mark against you. The with-it folk are academics (again of any age) who believe in modernizing research processes, digital scholarship, science communication and pro-active research involvement with the external world. Typically they are active themselves on blogs, Twitter, xarchiv, ResearchGate and discipline digital forums. This group is now well represented among applied researchers and those with strong ‘impact’ profiles. But it also includes many (I’d say at least half) of ‘top’ academics who are research leaders in their fields. Of course these senior people recognize that research articles and books are still the decisively important forms of academic publication. But they also think that these key products are now much more likely to come from people who have a broader, active record of digital writing and publication on their CV, than from people who are just young versions of the old buffers club (above). As Linus Pauling said: ‘The best way to get a good idea is to get a lot of ideas’. Because the ‘with it’ academics are ‘digital natives’ they are also the most likely to click on hyperlinks and follow URLs included in a digital CV or résumé during a selection process. They will use much of the scant time in first-stage shortlisting to quickly look intensively at what your publications say about you as a researher and writer. For them including comprehensive hyperlinks to an online, open access form of all your publications is going to be an unalloyed plus point — and incidentally a great indicator that you buy into the OA agenda yourself. The ‘with it’ researchers also tend to value highly research writing that is clear, effective and ideally stylish. They appreciate the ability to handle both excellent professional communication and more accessible (less condensed, higher impact) forms of writing. And as John Updike argued: ‘Creativity is merely a plus name for regular activity . . . any activity becomes creative when the doer cares about doing it right, or better’. These senior academics are looking not just for great research competence, but for an extra spark that can be recognized in many aspects of what you do in academia. The moderate middle lie in between the two groups above. They still put a premium on traditional outputs (articles and books), but they reluctantly or unenthusiastically recognize that the academic world has changed so that digital forms of reading now predominate, and impact activities count as second tier factors in candidates’ profiles. For them shorter forms of writing (like blogposts or journalism) and a wider range of research contributions (like producing databases or apps) have some merit. For instance, they may be influential in deciding who to shortlist among several candidates with otherwise comparable ‘classical’ research profiles. The moderates’ approach to a digital CV is that some, select hyperlinks to short form publications may well help them, especially in sorting between candidates who are alike in their publication records, or in understanding work that is unfamiliar to them in approach. But they may also worry that someone who includes a lot of such materials, or does a great deal of blogging, tweeting or engaging, might neglect the core task of producing excellent research, keeping their nose to the grindstone of long-slog projects and getting journal articles out. As one senior person told: ‘Yes, I like to see some blogposts and social media pieces — but not too much. It’s got to be in balance with producing REF-able publications [i.e things that meet the 4* or 3* criteria in the UK’s REF process]’. So here is something of a quandary for early career people. 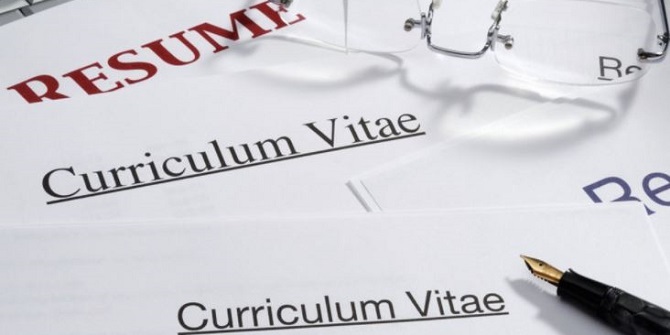 Do you keep your CV old-school, so as not to frighten off the old buffer group of selectors? Or do you want to be positively noticed by the with-it crowd and so include lots of URLs, and show evidence of activism not just in ‘classic’ research publications but also in blogging and social media? Or do you tread a middle path, clearly assigning prominence to traditional outputs, but showing in a restrained way that you can also do more. To some extent, only you can decide, given what you know of your field, the particular departments that you are applying to, and the key criteria they will apply. Speaking personally, I’d advocate going fully digital — so that you include unobtrusive but clearly clickable and open access hyperlinks behind all your publications, papers in development and a selection of your best short-form writings, like blogposts. On the whole, I think your key task at the first. long-listing stage is to get people to notice you and to include you in their personal set of ‘possibles’. The with-it folk amongst the selectors, and some of the moderate middle are the most likely to notice hyperlinks and click on them. Meanwhile, with a bit of luck, people in the ‘old buffers’ category won’t notice unobtrusive hyperlinks, or will only click through to your ‘classic’ papers (or books) anyway. The final area for possible digital content may well generate a lot of controversy, similar to that surrounding restrictive résumé or CV strategies like excluding a date of birth (lest it trigger an ageist response by selectors); or women choosing to use an author publishing name that uses only initials and no first names (so as to try and avoid the manifold gender biases still so evident in many fields of academia). In the 2000s many universities that previously required applicants to include photographs with applications removed this stipulation in the 1990s, for fear that it might be alleged to facilitate selectors acting on racial or ethnic prejudices. I greatly sympathize with and share all the anxieties that drive these kinds of restrictive practices. But I’m afraid that I feel that all these responses are completely ineffective or diversionary ‘answers’ to the underlying problems. Including photographs in CVs or résumés could be controversial because it is clearly true that western societies show many signs of ‘body’ or ‘beauty’ biases, where judgments are made about people on the basis of their physical appearance. Our collective biases here often end up by systematically assigning more life chances, social status or even ‘ascribed intelligence’ to good-looking people compared with those less favored. Academics and researchers as a profession group have long been critical of any basis for evaluating people’s work that departs from its scientific, research or scholarly value and potential. The example of Stephen Hawking shows how important maintaining this core stance is. And so for the last one or two decades universities have been rigorous in not requiring any images (whether still or moving) in résumés and CVs — a stance that a traditional, print-only format obviously helps to sustain. But is this an effective defense still against ‘beauty’ biases, ethnic group biases or other unacceptable elements at the shortlisting stage? We already live now in a society where digital photographs are omnipresent on our Twitter or Facebook sites, or Google Scholar Citations and ResearchGate pages, or on personal websites, university biography pages or blogsites. In addition, pictures of anyone active in academic life, or in disseminating research results to the media and external audiences, are routinely collected and archived in Google Images. Only the youngest researchers now, plus older people who are extreme academic hermits, can realistically apply incognito. Any selector who wants to know what a given candidate looks like, can normally surface that information in a few mouse clicks. Including photographs in résumés and CVs is now common in many countries (e.g. in Germany) and in many sectors of the economy (e.g. in media and journalism). It seems artificial and ineffective now to exclude them from academic applications. But any moves away from current restrictive conventions will need to be done cautiously and in line with the traditional virtues that make academic CVs distinctive. The kind of change that might be feasible is to include at the start of your CV a single ‘head and shoulders’ portrait photo of you, wearing conservative office dress. Alongside other shifts towards a digital format set out above, this would clearly help selectors to get past the obscuring fog of current practices, and to make better initial and holistic judgments about candidates. Special arrangements would be needed for some disadvantaged categories of applicant (such as some disabled people). Should you make this step? In the current climate of HR rules, I would always advise checking with the university you are applying to, whether it would breach their rules or practices to do so. Similarly you might seek to ask them whether it would be unusual for the kind of post you are applying for? Turning next to video and audio links, these too have a role to play in building a digital résumé or CV. Academic jobs always involve presentations. And outside STEM sciences they normally involve teaching. Even within STEM disciplines two thirds of jobs are still teaching-related. I’ve not said much about teaching so far, not because it is in any way unimportant or less salient than research, but because other folk are far better qualified than me to cover the issues here. Essentially, the more important that teaching and presentations are to the kind of job you are applying for, the more important it now is to include some links to short videos or podcasts of you presenting or teaching in your résumé or CV. These links might be to academic videos of you on YouTube; or in a TED-type setting; or possibly explaining a topic in a MOOC-like course. (Don’t include links to long or mundane video lectures that take ages to start and which selectors could not possibly have time to even dip into. Your links need to be to fast-start, high impact videos or podcasts — or at best punchy extracts from longer recordings). Similarly if you have been interviewed for a videocast or a podcast, or have clips of yourself broadcasting, the why not include URLs for them (or for extracts) in your CV? There is a lot of brilliant material already on the Web, especially from younger and early career researchers — like this great video example. And while videos may be a step too far for you, advice on academic podcasts at least is now easily available. So browse around and think creatively about what you might do here. The acid test is whether your CV (or résumé) would cite these components anyway — e.g. under the headings of teaching, or impact and knowledge exchange activities? If so, including one or a few links to fast-start video clips or podcasts in your CV now seems a perfectly legitimate thing to do. It is just one more way of most effectively presenting the case for your appointment to selectors. You may find it useful to read this post in tandem with my introduction to academic CVs. 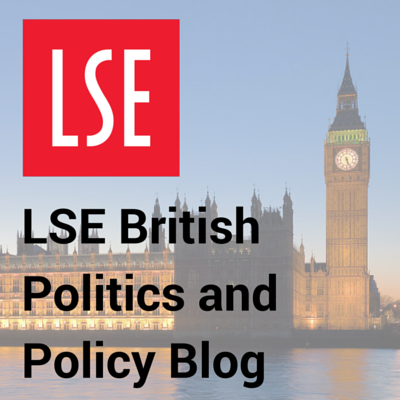 I’d welcome comments, critiques or alternative advice suggestions via email to p.dunleavy@lse.ac.uk or via my Twitter account@Write4Research. 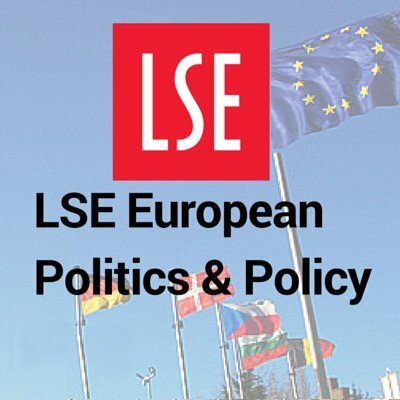 Please also see the many diverse contributions on the LSE’s Impact blogor follow me on Twitter for other new developments.